Just like the rest of your skin, the skin on top of your head can be susceptible to breakouts and blemishes. And when you're bald, there's no hiding a scalp acne outbreak. 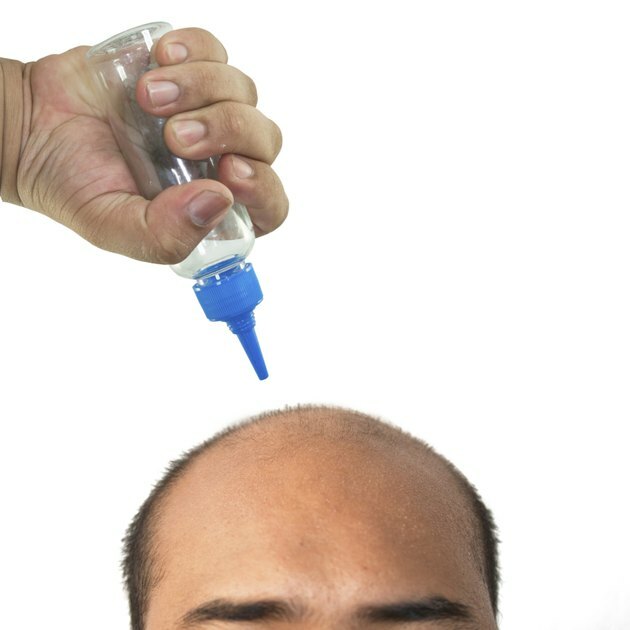 Whether you're balding naturally or you've gone bald by choice, taking care of the skin on your scalp can reduce your risk for breakouts and keep your bare head looking its best. If your scalp acne is serious or ongoing, schedule an appointment with a dermatologist, as you may need medication to clear up the problem. Wash your head every day with a cleanser that contains salicylic acid. It will help clear any acne-causing residue and dead skin cells from your pores. Switch to a non-greasy or gel sunscreen, recommends Howard Brauner, founder of the 2-year-old company Bald Guyz, based in Manalapan, N.J., in the "New York Times." Though sunscreen is essential for a bald head, using a super-creamy formula can clog your pores and cause acne. Opt for hats made with natural fibers, like cotton or wool, and make sure they don't fit your head too tightly. Friction can cause and irritate acne. Use a hydrating conditioner twice a week to help your scalp maintain a healthy moisture balance, recommends Brauner. Letting your scalp get too dry can actually cause it to increase oil production, making you more likely to develop acne. Keep blotting papers handy to blot away oil on your scalp throughout the day. It will help prevent excess oil from clogging your pores and causing acne. Avoid using benzoyl peroxide spot treatments for acne on your scalp, since it can bleach hats and pillowcases, according to "New Beauty" magazine. Be careful when applying products that contain ingredients like salicylic acid to your scalp to avoid getting any of the product in your eyes.